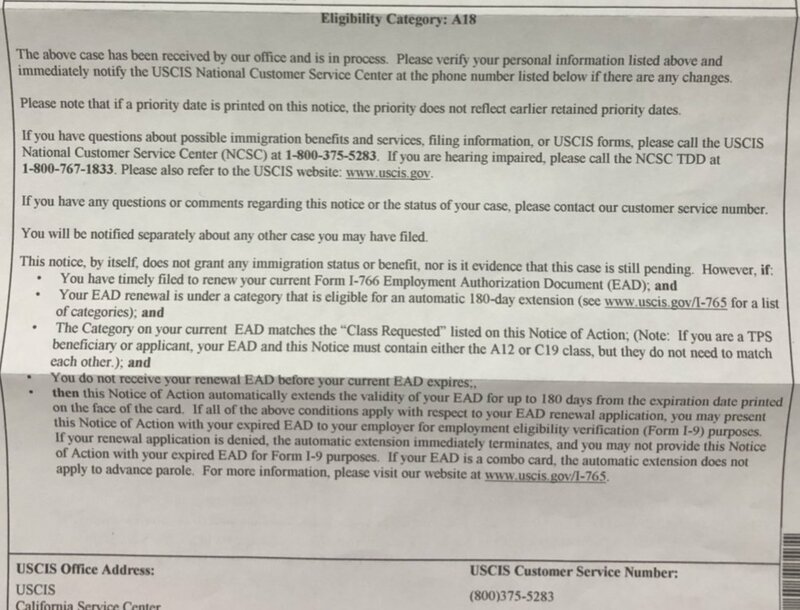 Please help me.My husband is on L1 work Visa valid until December 2019 and I'm his L2; I have had my EAD expired on 2nd April2019; My file for renewal EAD applied date 10th Jan 2019; USCIS received date : 11th Jan 2019; USCIS Notified date 15th Jan 2019; My employers asked me not to come to work unless I produce renewed EAD and have placed me on Leave without Pay. That is also affecting my work obtained Insurances Health and Dental; I had some dental appointments based on my work Insurance(my primary insurance) and now my husband has asked me to cancel all the appointments since he is getting all the claims because I'm on his insurance which is secondary insurance. Then, My employer is also asking me pay up to 3 times of $700 for using their insurance if I do not produce the EAD renewed by the month of April. I have no idea if my employer can pause on the contract for my insurance until I get my EAD renewed. Is there a possibility like this? It is overall 85day completed waiting for the case status on the USCIS at the California Center; and also 60 Working days of waiting days now. I am going through a lot of stress. I work in a school and it is about just 9 weeks more until I need first week of June 2019 the EAD to fulfill this job. Spring break is now over but I cannot go to work without EAD. Do I need resign the job if I have to save myself from the stress of wait of the processing time or ask the USCIS to expedite my case? However I can inquire only when I finish the 6 months of wait times and I am very close to 90 days. Will the USCIS expedite my case? There is no status change seen from Jan 11th 2019. Waiting is horrible. There is no response either from the call center during week days and also the call- queue is greater than a call can be made to connect to representatives at USCIS. Does anyone know how long will it take for L2 EAD renewal to approve. Can anyone share your experiences? Please advice me. My employers asked me not to come to work unless I produce renewed EAD and have placed me on Leave without Pay. Does your renewal's Notice of Action say the following (bottom part)? 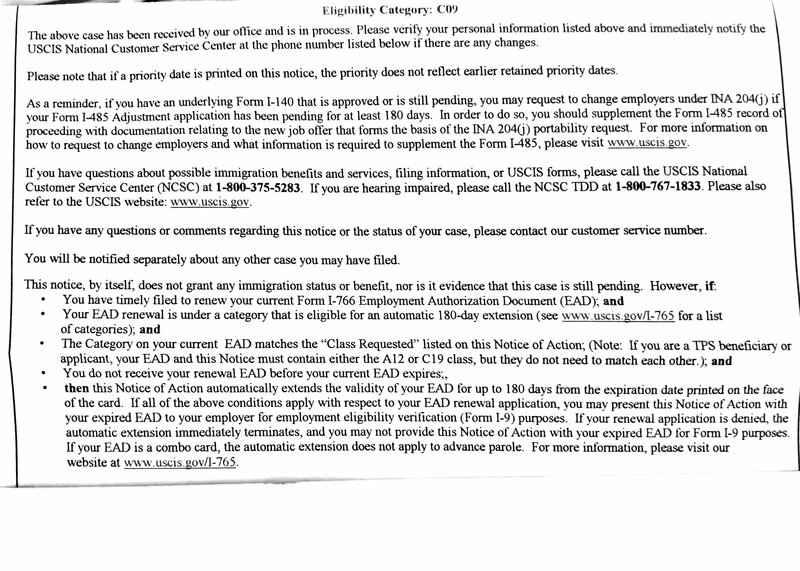 This is what I was given in the 15th Jan Notification by USCIS. NO calls answered only automated and then hangs up even when on Monday to Friday Eastern timings. No case status changed from 85 days.